PALMDALE – The Los Angeles County Business Federation (BizFed), which represents over 185,000 businesses and 2.5 million employees, is the latest organization to come out in support of the Palmdale Power Plant, city officials announced Wednesday. “BizFed urges your support of this project, and looks forward to working with you toward approval,” the letter concluded. 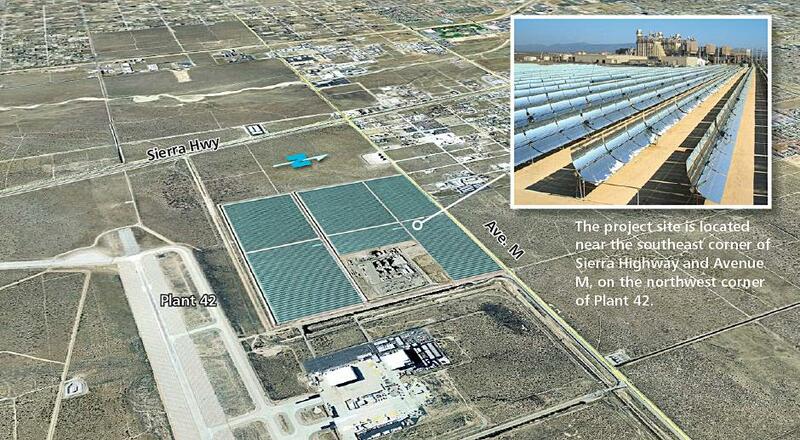 “The Palmdale Power Plant will help ensure that the lights stay on,” Ledford added. Some of the members of BizFed include the Antelope Valley Board of Trade, Building Industry Association – LA/Ventura, California Contract Cities Association, Chinese Chamber of Commerce LA, Construction Industry Air Quality Coalition, Construction Industry Coalition on Water Quality, Employers Group, FuturePorts, Greater Los Angeles African American Chamber of Commerce (GLAAACC), League of California Cities, Los Angeles Area Chamber of Commerce, Los Angeles County Economic Development Corp., National Latina Business Women Association of Los Angeles, San Gabriel Valley Economic Partnership, The Valley Economic Alliance, United Chambers of Commerce – SFV, Valley Economic Development Center, and many more. BizFed is the latest group to endorse the Palmdale Power Plant. Other notable supporters include the Los Angeles Economic Development Corporation (LAECD), State Senator Steve Knight, Assemblymember Steve Fox, Board of Equalization Member George Runner, Palmdale Chamber of Commerce, A.V. Hispanic Chamber of Commerce, A.V. African American Chamber of Commerce, Palmdale Recycled Water Authority and the Los Angeles/Orange Counties Building and Construction Trades Council. 4 comments for "BizFed urges AVAQMD Board to support Palmdale Power Plant"
The problem from day one is its called the Palmdale Power Plant not AV. It effects everone in AV who lives here and only truly benefits outsiders!!!! This is why we need an Antelope Valley Community Service District (AVCSD) so we have control of our on destiny and every AV citizen is represented. THANK GOD for the AV AIR BOARD!!!! To bring light onto this self interest proposal. Would this help out the public’s unsustainable electricity bills?